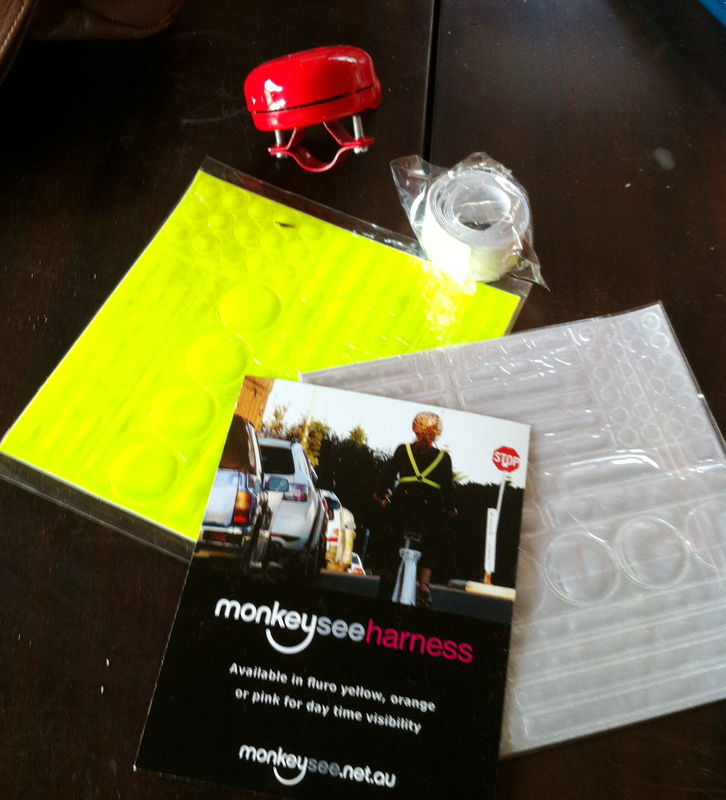 I was not able to make it to our local Bikefest, however, my daughter was there as my ambassador and, upon her mentioning to a stallholder she was making purchases from that I was a bike blogger, they gave her Free Stuff for me to review, to wit: As you can see there are reflective tapes and dots in two colours from Monkeysee, and a red bike bell to match my Speedwell! I have attached the bell to the bike already … I haven’t used any of the reflective gear yet and have given some of it to my daughter as a commission for her good services on my behalf. The bell, however, has that delightful old school Brriiing brriiing sound to it and its colour and retro styling match my Speedwell very nicely, so thank you Monkeysee for it and for launching me into the realm of semi professional blogger! When I attach the reflective tape I will write that up too. Bikefest was a great success from the anecdotal reports I have heard about it, an estimated 20,000 people attended, there was a great atmosphere there and the stallholders were happy with the outcomes of the weekend. 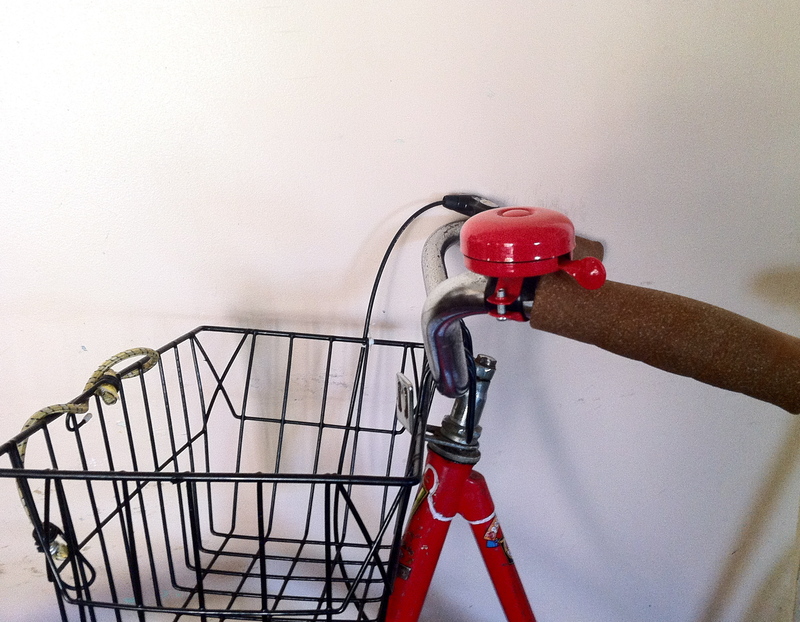 This entry was posted in accessories, bicycle culture, My Bikes, Newcastle, Uncategorized, Vintage 1950s Speedwell. Bookmark the permalink. I like that red bell. Tell us how it holds up in rain, etc. Oooo, the bike bell is lovely! I will definitely do more reports on it, ladies.